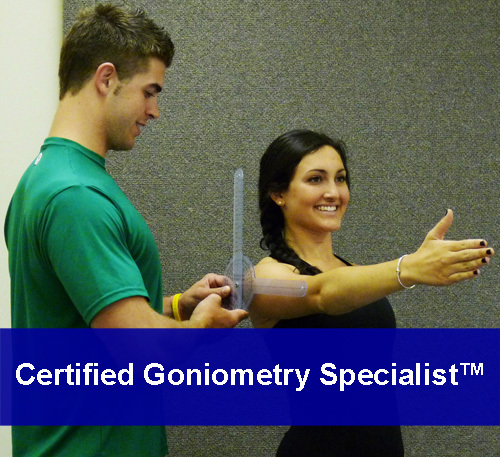 The online NPI-Certified Goniometry Specialist™ (NPI-CGS) Certificate Program is designed for personal trainers, group exercise instructors (Aerobic/Strength/TRX/Pilates/Yoga etc…), athletic trainers, allied medical professionals (physical therapists/chiropractors) interested in learning a detailed process to assess their clients/patients joint and muscular range of motion (ROM) using a Goniometer. The program will teach you how to analyze and assess an individual utilizing a goniometer as a measuring, evaluation, and assessment tool. Whether you are a fitness/health professional or a college student taking an assessment or kinesiology course; learn how to perform and conduct goniometry assessments! 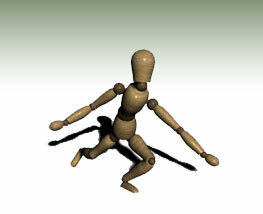 Teaches how goniometry assessments will allow for the design of a complementary exercise/rehab program focusing on measuring and improving joint range of motion (ROM) and posture. Learn protocols to implement a Goniometry Assessment Program into a facility or organizations current health and exercise testing program. Teaches the measurement procedures and techniques of performing goniometric assessments. Teaches procedures of how to explain assessment results to a client or patient.